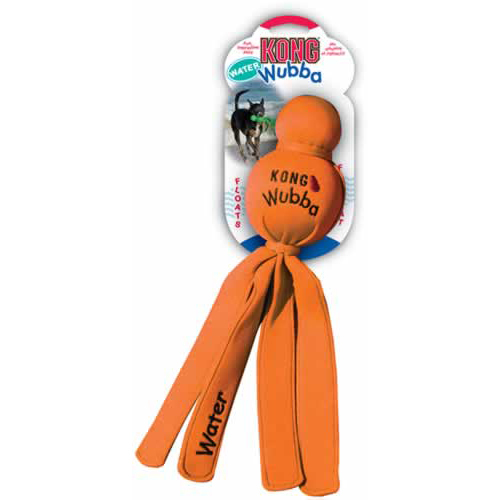 The Large KONG Wet Wubba is covered with brightly coloured neoprene (its own little wet suit) and floats high in the water making it highly visible for a dog to find while it bobs about. The Water Wubba dog toy also has extra long tails to make it easy to be able to pickup and throw and have interactive fun with your dog. Brightly coloured neoprene so it is easy to spot for you and your dog.